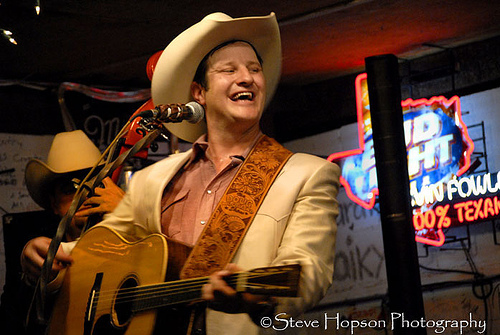 Doug Moreland has been a Texas Music mainstay since the late 90’s. He’s built a career out of witty songs and a humorous stage presence that have earned him a loyal following. First gaining notice for joke songs and singing with his dog, fans began to shift focus to Doug’s deeper cuts and realize there was a smart songwriter underneath the trademark laugh. Doug has been carving wood with chainsaws and playing music on stages far and wide for the better part of two decades. He’s one of the oldest artist friends we have here at GW and it’s a shame it’s taken this long to get him on a Greenfest bill. We’re thrilled and honored that he’s going to come share some tunes with us at GF16. appears to be like good. I’ve bookmarked it in my google bookmarks. for brussels. I’ll appreciate in the event you continue this in future. Hi, і think that i noticed yoᥙ visited my websitethus i got here to return the choose?.I’m tryіnjg to find issueѕ to improѵe my web site!I ѕuppose itѕ good enough to make use of some of your ideas!! I just want to tell you that I am newbie to blogging and site-building and seriously savored you’re web-site. Most likely I’m want to bookmark your blog . You actually come with tremendous articles and reviews. Thanks a lot for revealing your web-site. Valuable information. Lucky me I discovered your web site by chance, and I am stunned why this coincidence didn’t came about in advance! I bookmarked it. obviously like your web-site however you have to test the spelling on quite a few of your posts. Many of them are rife with spelling problems and I find it very troublesome to tell the reality on the other hand I will definitely come back again. I don’t even know how I ended up here, but I thought this post was great. I don’t know who you are but certainly you are going to a famous blogger if you aren’t already ;) Cheers! specific about my difficulty. You’re wonderful! Thanks! Magnificent goods from you, man. I’ve understand your stuff previous to and you’re just too great. I really like what you’ve acquired here, certainly like what you’re saying and the way in which you say it. You make it enjoyable and you still care for to keep it sensible. I cant wait to read far more from you. This is actually a wonderful website. Next PostCheers to the Minor Leagues!